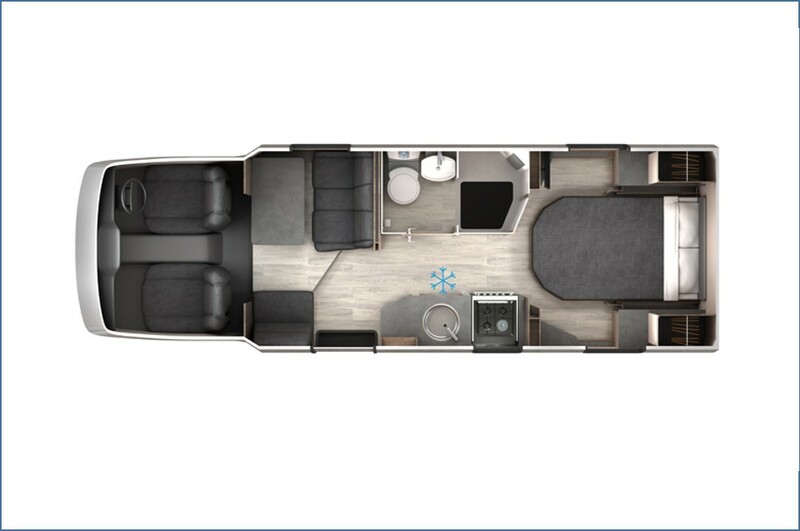 The Roadstar TI has a large front lounge area styled in a choice of Erin Pewter or Carabu Aquaclean soft furnishings and is complemented by the locker doors in Timeo Pine with Mussel and large array of LED lighting. There is a fully equipped kitchen with an Aspire 2 cooker with four burner hobÂ a Dometic cooker hood and a luxury grey slate effect worktop. Extras fitted to this vehicle include Category 1 Alarm and Security Locks. If you would like to enquire about the 2018 (68) LUNAR Roadstar TI please complete the form below giving as much detail as possible.